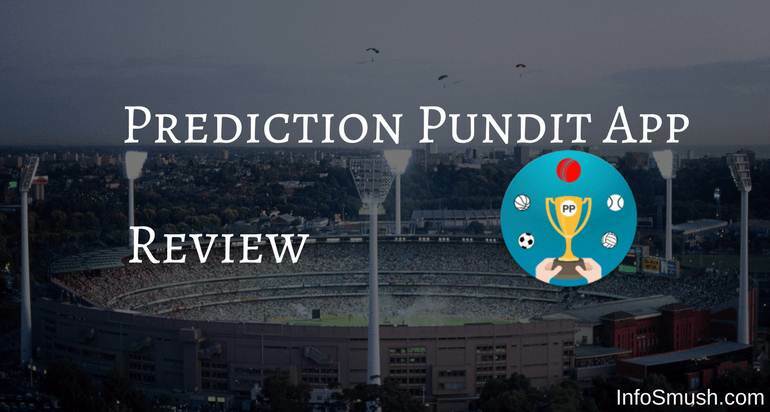 Prediction Pundit is another app for Sports lovers to earn a few extra bucks with their knowledge. And if you are one of them, then you must give this app a try. 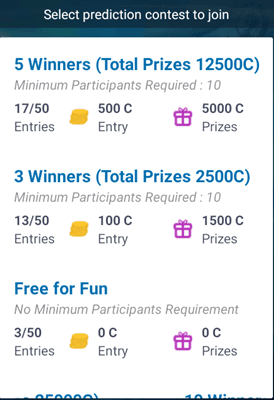 If you are a regular visitor to InfoSmush.com then you might have read my reviews about other sports prediction apps like Rooter, ESPN Fantasy and Dream11. But Prediction Pundit is different than all the apps that I've reviewed. So, What is Prediction Pundit? 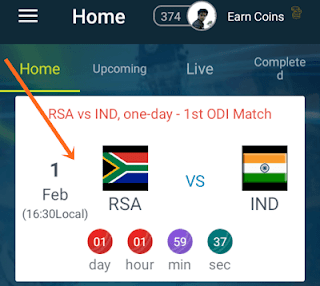 As the "Prediction" in the name of this app might already suggest, it gives you the opportunity to earn coins by making predictions for a cricket match. These coins can be redeemed for Talktime or Gift cards. Currently, Prediction Pundit only supports Cricket. 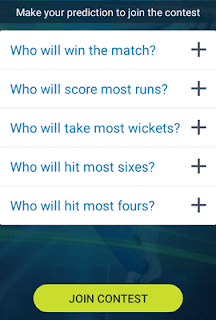 You can earn points by predicting stuff like, which time's gonna win the and by how many wickets or runs, which player will score the most and more. First, let's create your account. 2. 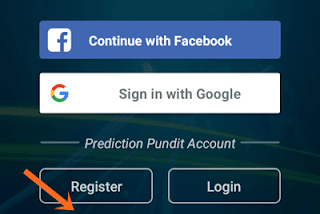 Open Prediction Pundit and tap on Register. 3. Fill the form and enter Prediction Pundit referral code: kc1u1DX to get 5,000 coins instantly. 2. Select a match for which you'd like to predict. 3. Choose a contest. There is also a free contest to test and hone your skills. 4. Predict all the answers to all the questions to join the contest. You'll need to answer questions like which team's gonna win the match and by how much runs or wickets, which player will score the most runs, who will take the most wickets, etc. 5. That's all. If your predictions are one of the most accurate predictions you'll win coins based on your rank and contest. 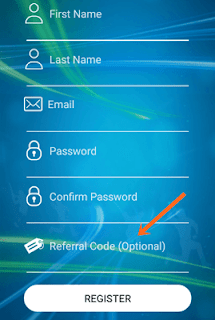 You can earn more coins by referring your friends and watching videos. You can redeem your coins for Amazon, Flipkart, Book my Show gift cards or talk time.